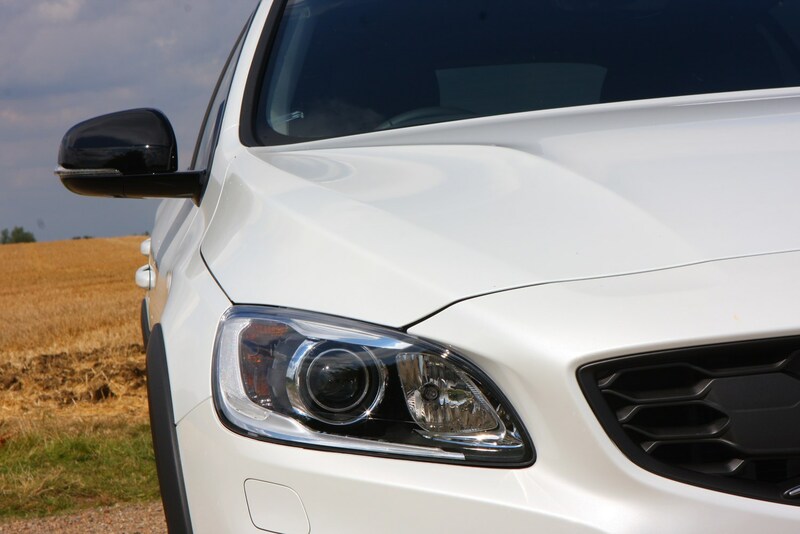 Insurance group: 26 - 32 How much is it to insure? 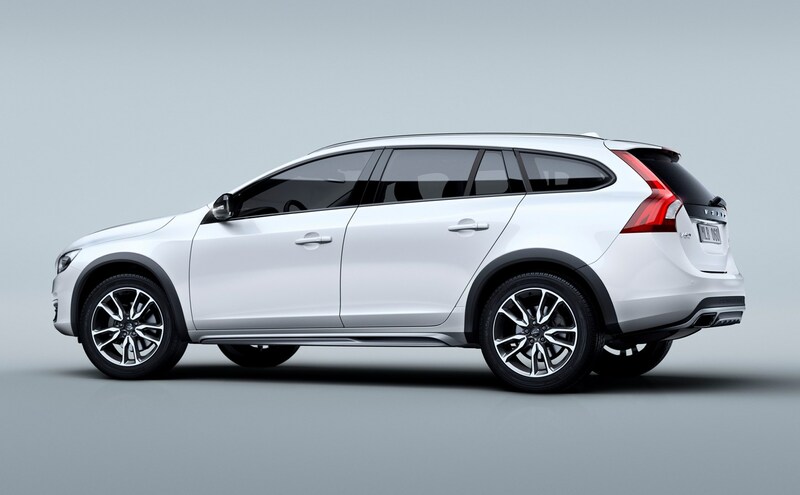 So subtle is the transition from the standard car that at first glance you might not realise that the Volvo V60 Cross Country is a new version of the Swedish brand’s compact estate range. 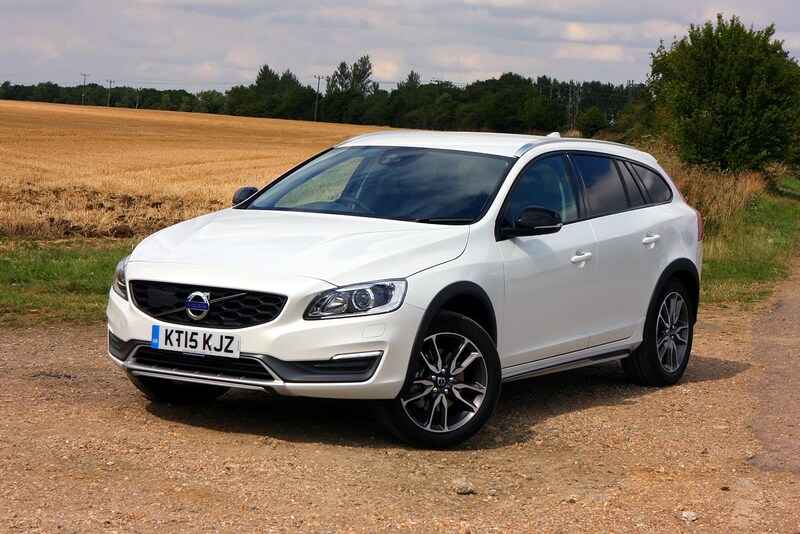 Unlike the changes between the larger Volvo V70 and its chunkier XC70 sibling, the V60 Cross Country is visually understated, looking barely any more rugged as a consequence. 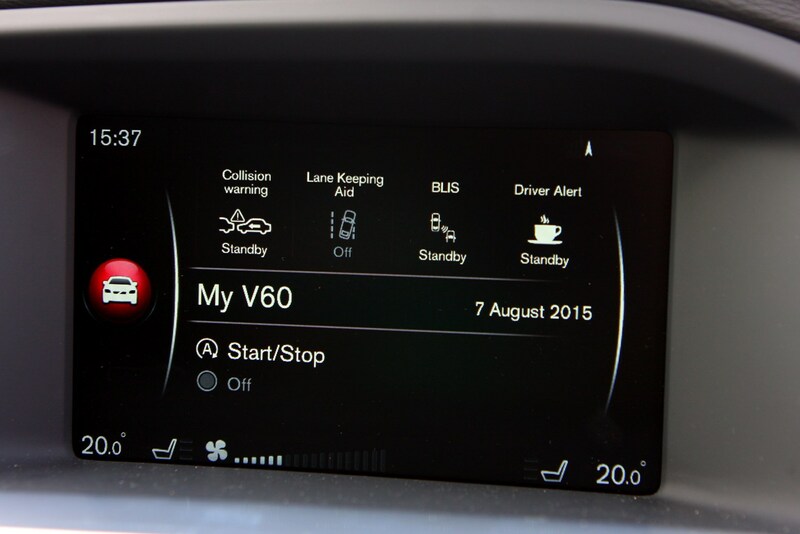 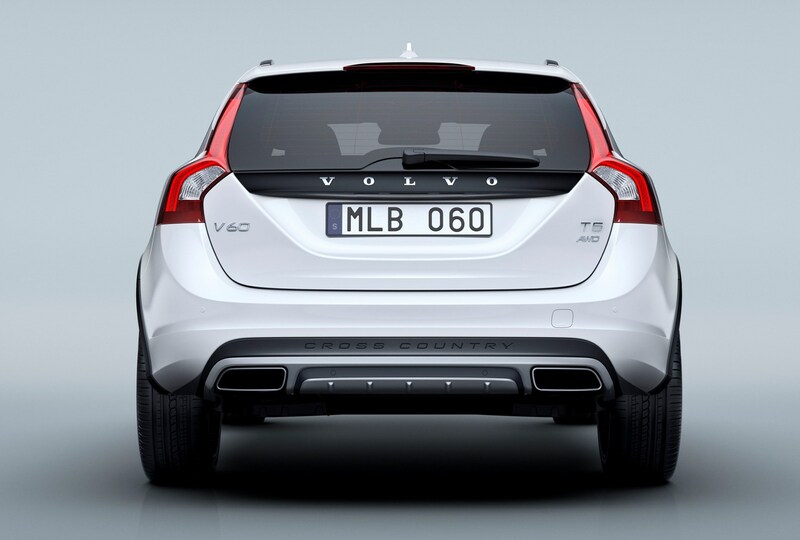 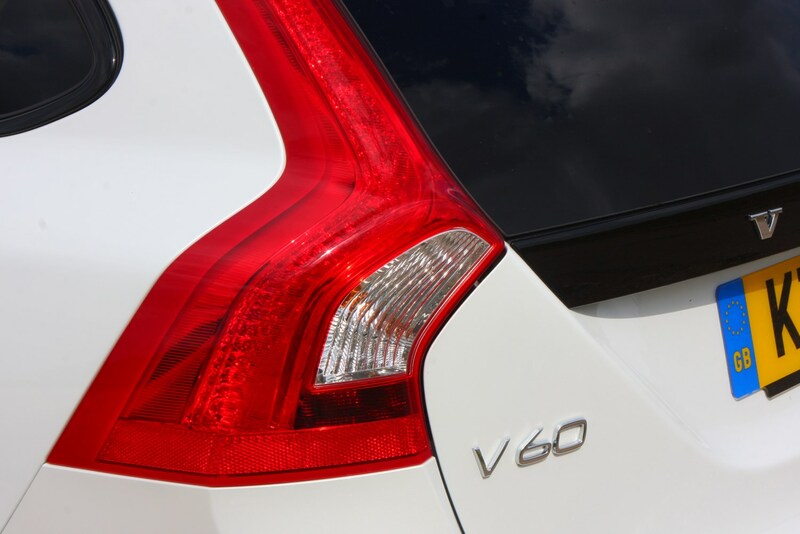 Nevertheless it’s expected to account for a quarter of all V60 sales. 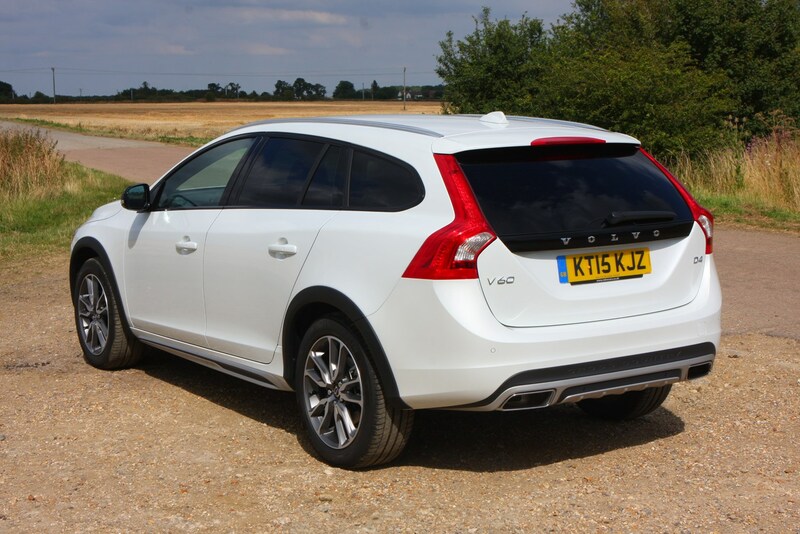 Size-wise the V60 Cross Country falls slightly awkwardly compared to its rivals but the Audi A4 Allroad is its closest competitor. 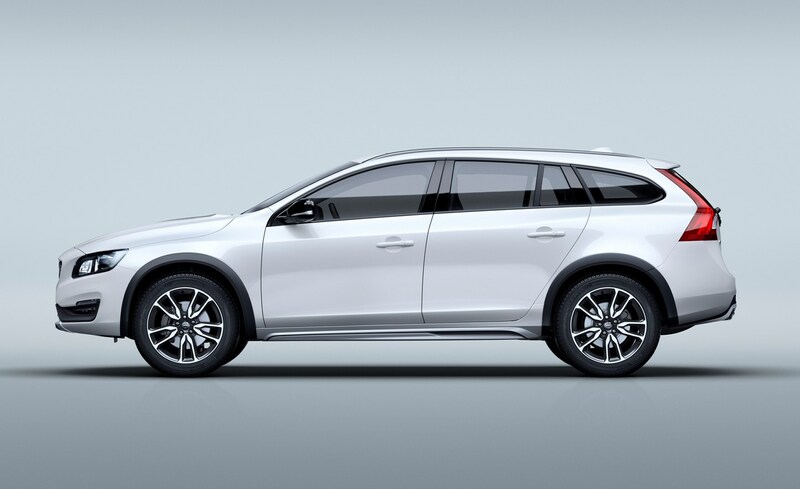 If you want a similar kind of proposition for less money then the SEAT Leon X-Perience, Skoda Octavia Scout and Volkswagen Golf Alltrack are three more to consider. 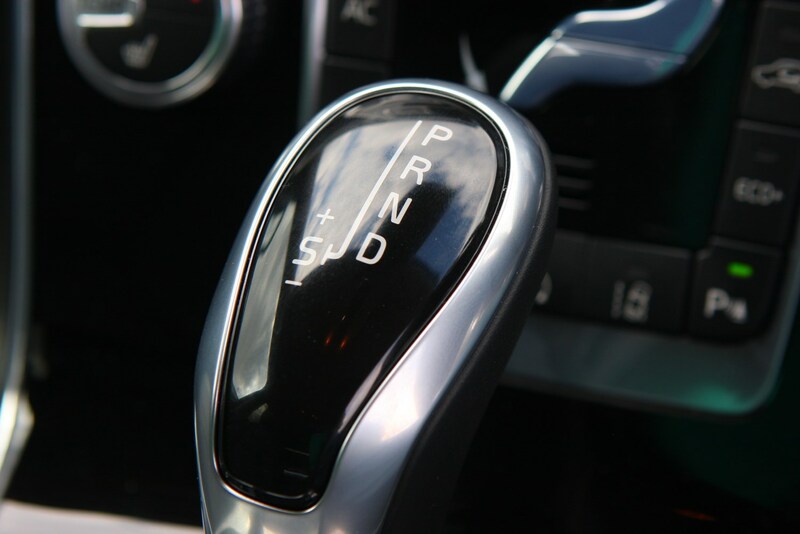 If the devil is in the detail, then you’re going to have your work cut out discovering where it is. 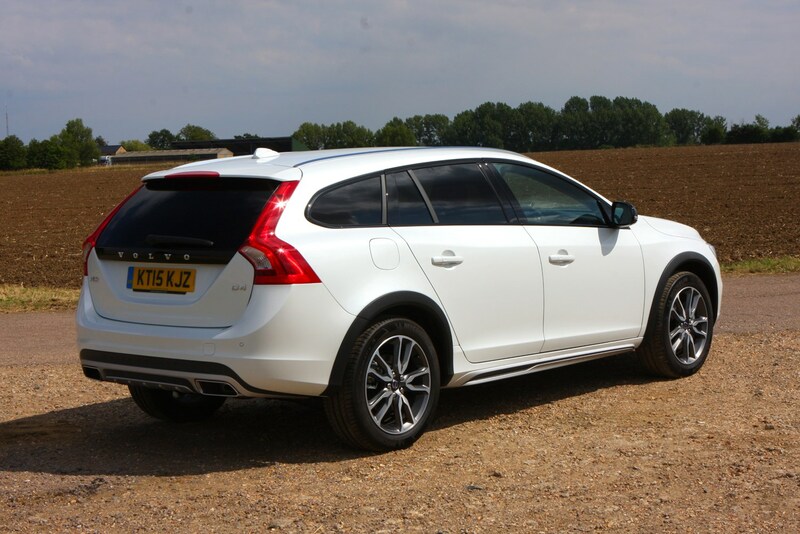 See the Cross Country next to a regular V60 and the changes are a little more obvious, not least 65mm increase in ride height. 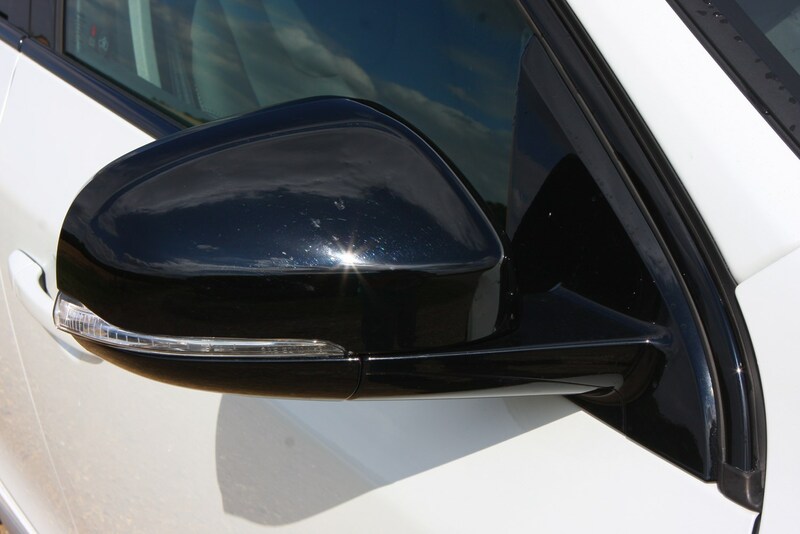 Dig deeper and you’ll unearth a honeycomb patter for the grille insert, slender grey mouldings in the bumpers, vestigial wheel arch extensions, while gloss black door mirror caps complement a similar finish for the window surrounds. 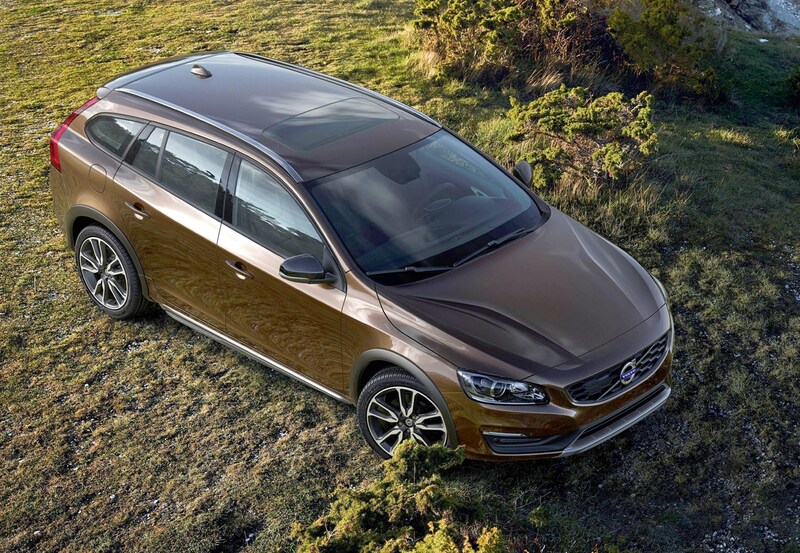 There are two colours exclusive to the Cross Country too – Rich Java and Twilight Bronze. 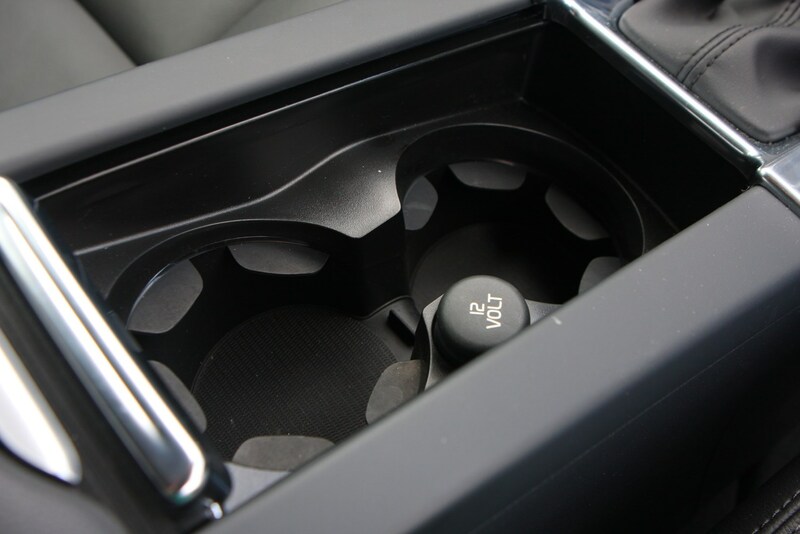 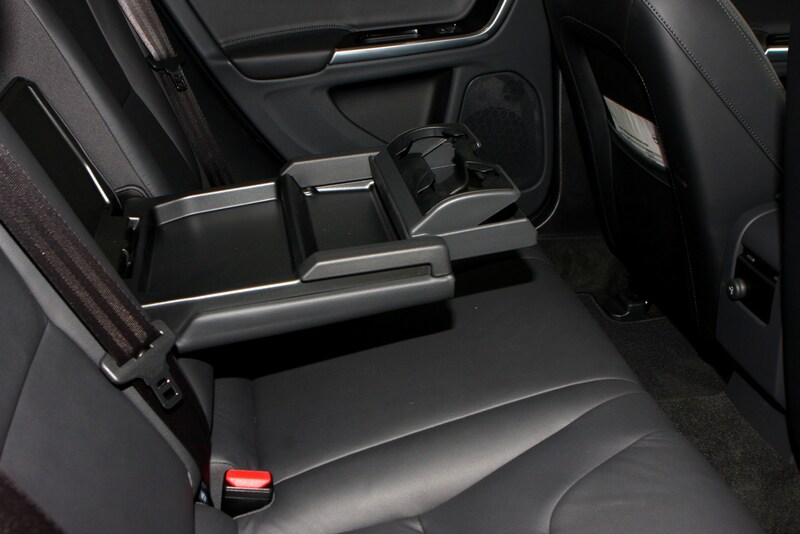 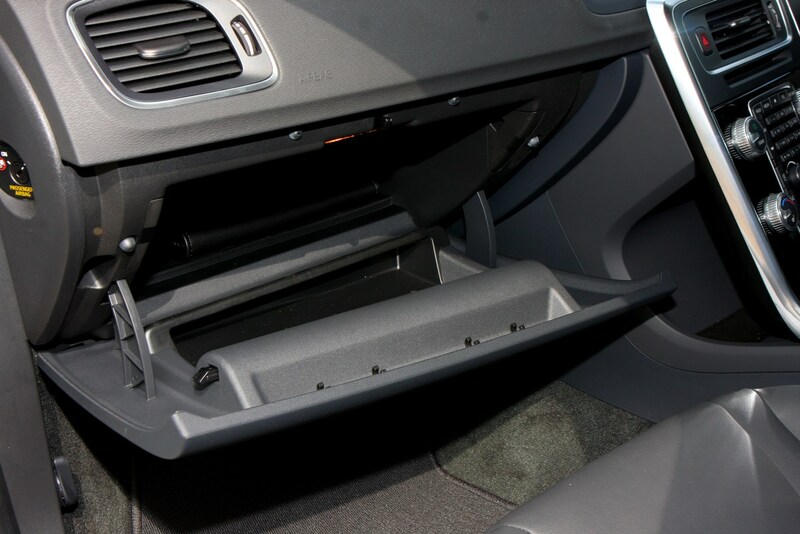 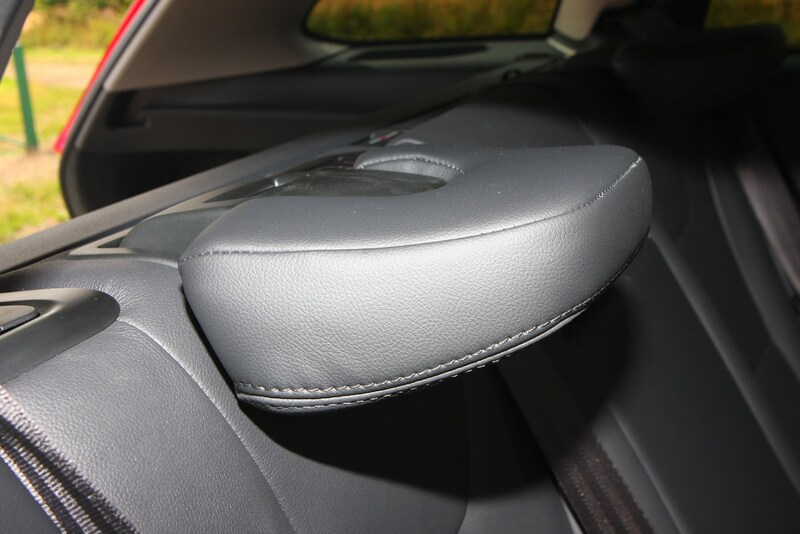 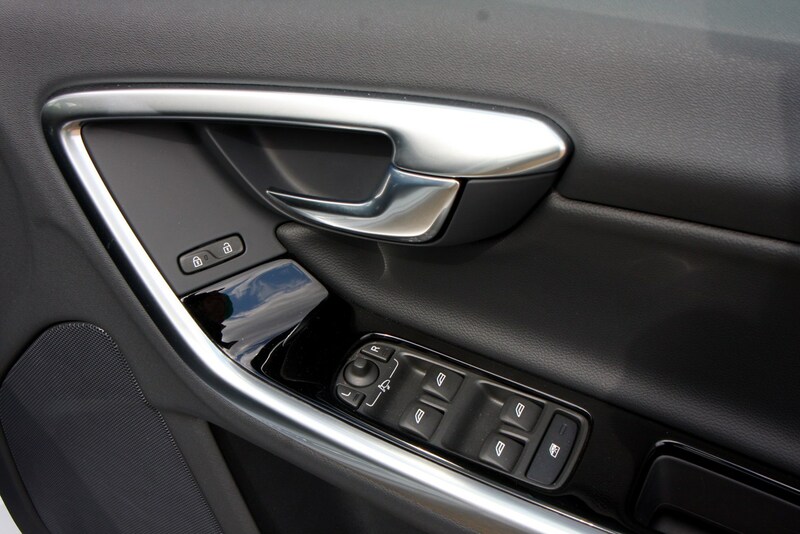 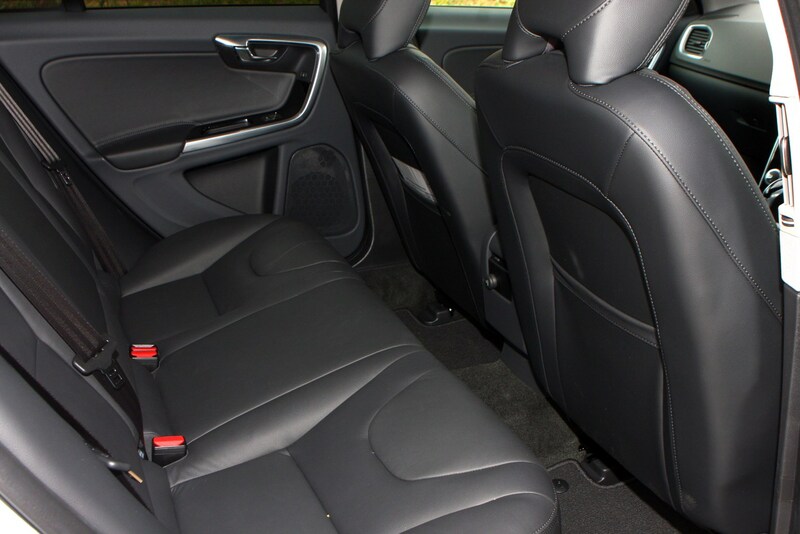 Inside there are even fewer differences save for the optional sports seats with contrasting brown stitching. 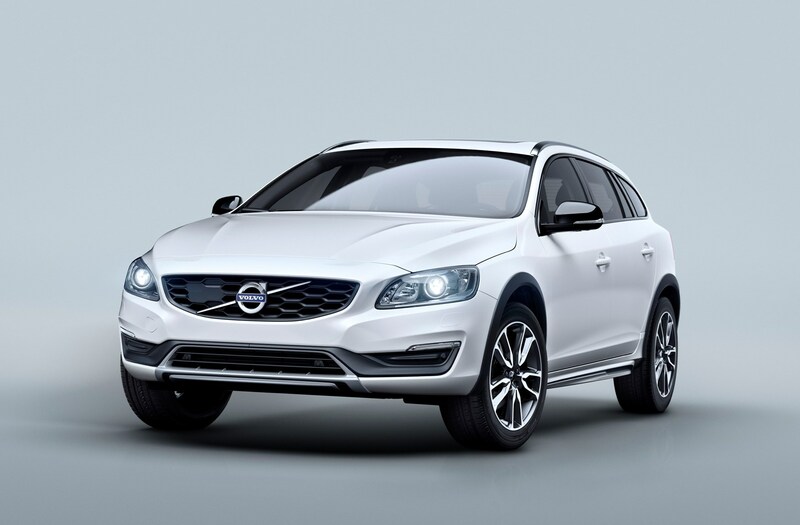 Powering the front-wheel drive versions of the Volvo V60 Cross Country are two versions of the firm’s new four-cylinder 2-litre Drive-E diesel range, simply badged D3 and D4. 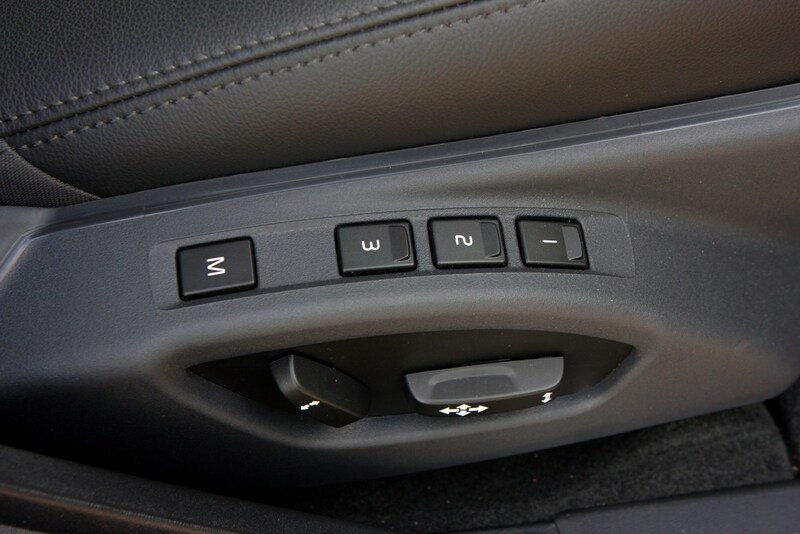 Both are fitted with a six-speed manual transmission as standard with an eight-speed Geartronic automatic available at extra cost. 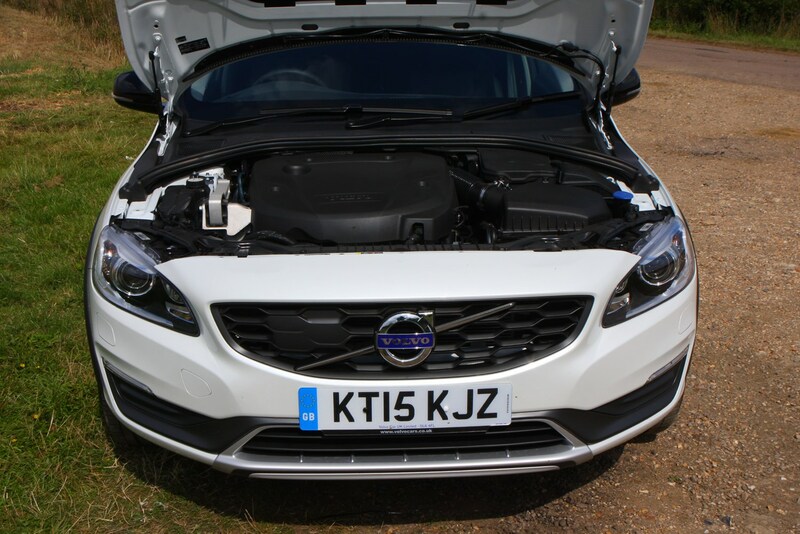 Whichever engine you choose, both offer identical fuel efficiency and CO2 emission figures, despite the D3’s 148bhp compared to the D4’s 187bhp. 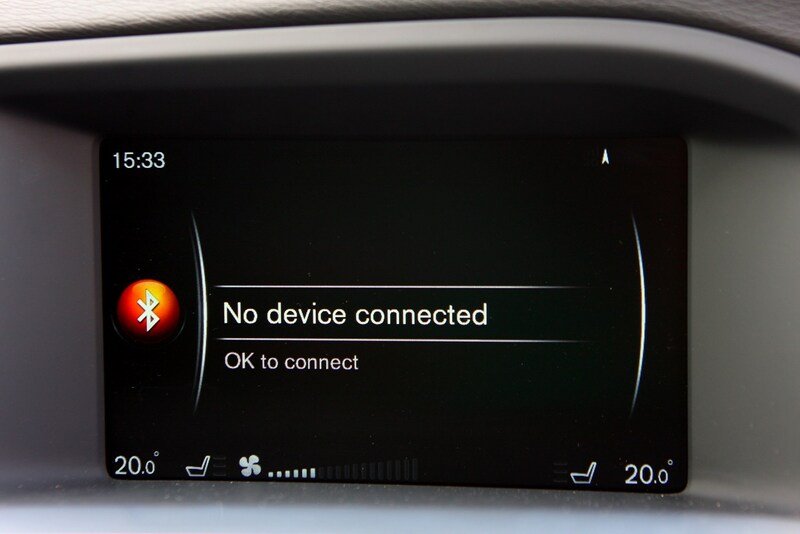 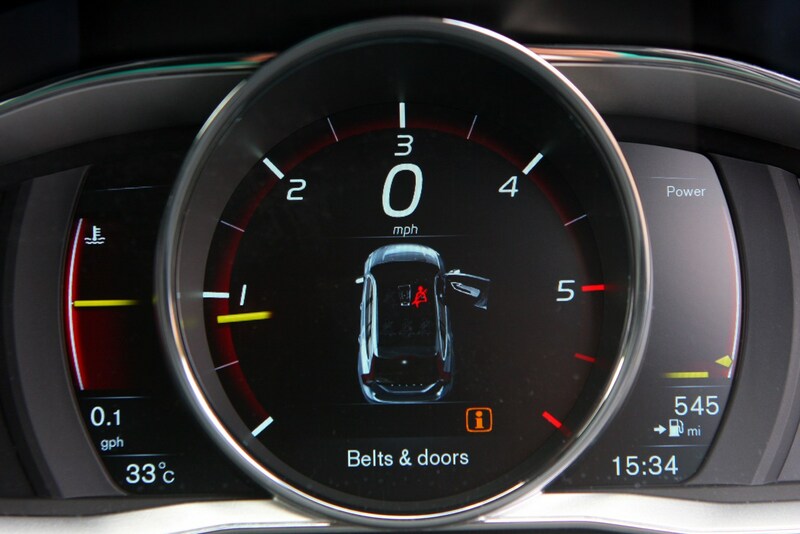 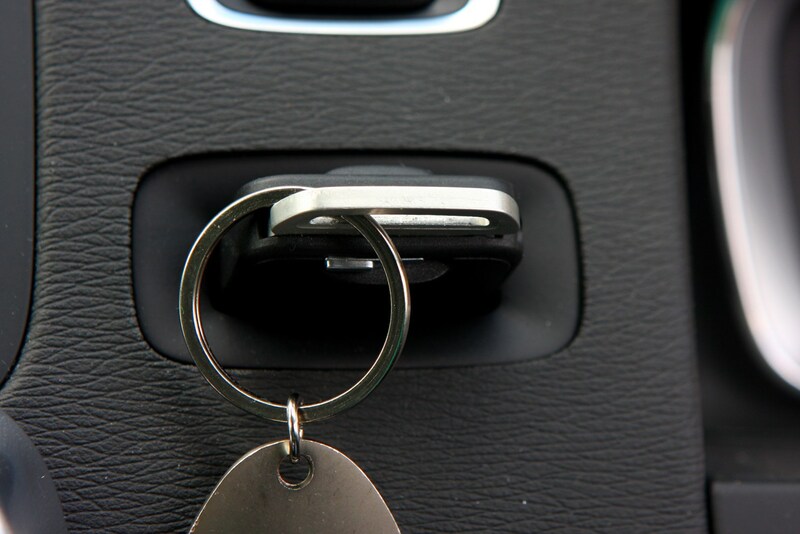 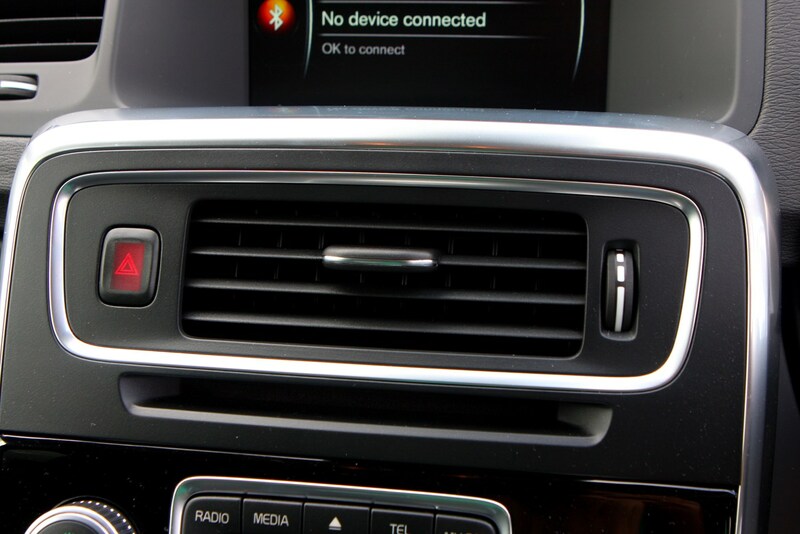 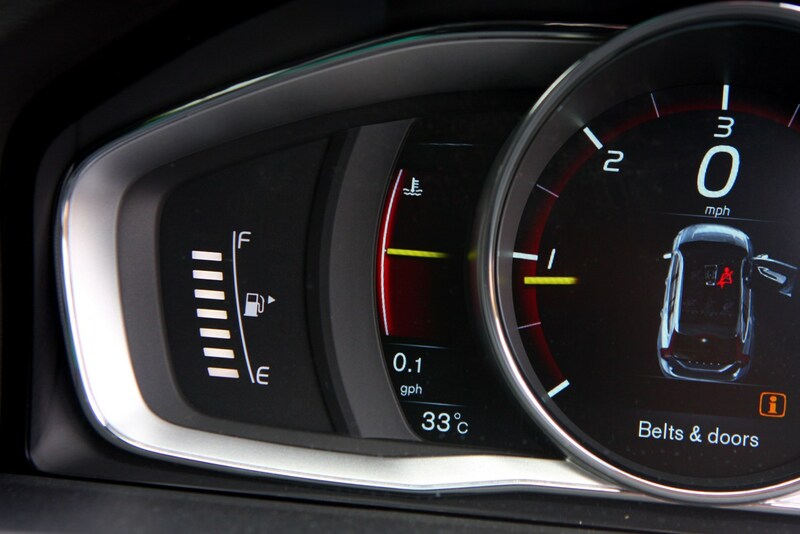 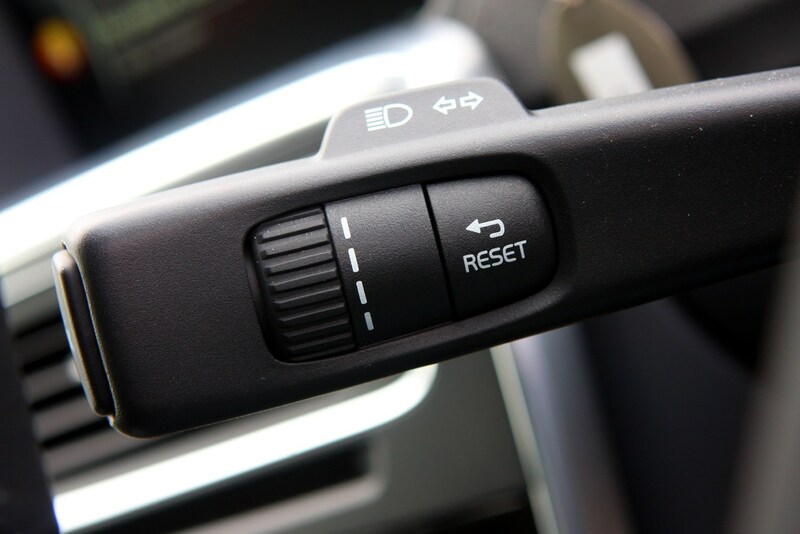 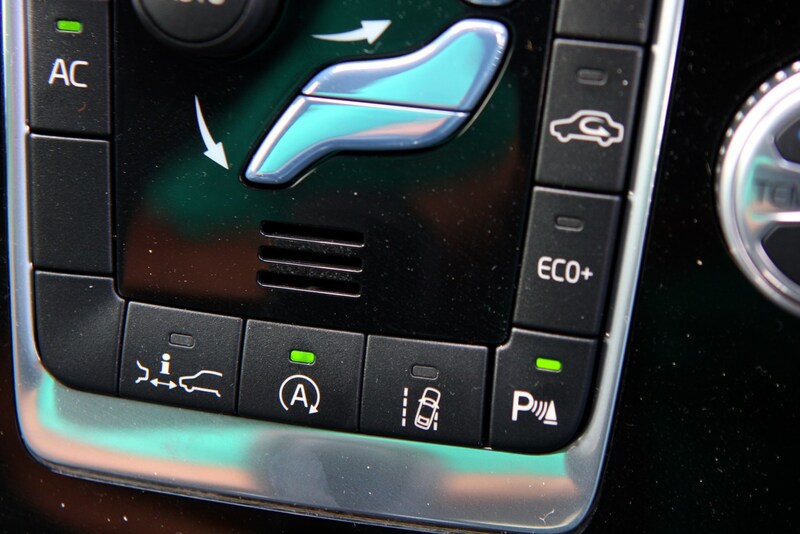 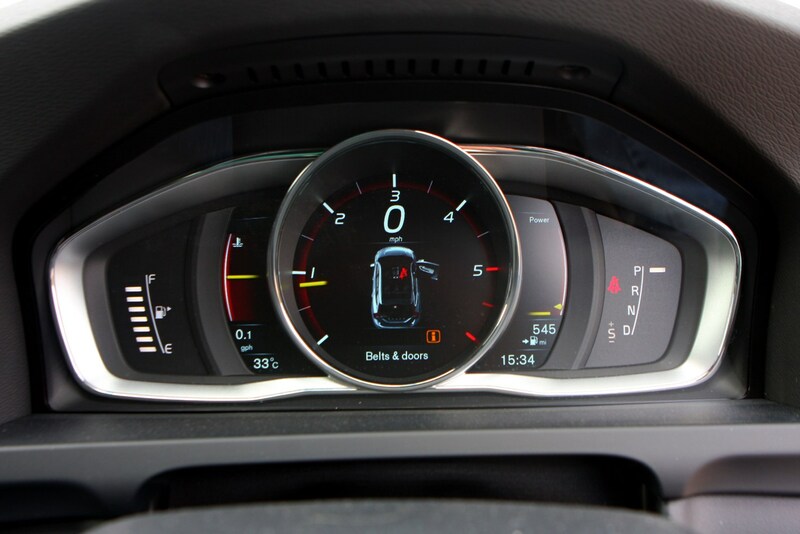 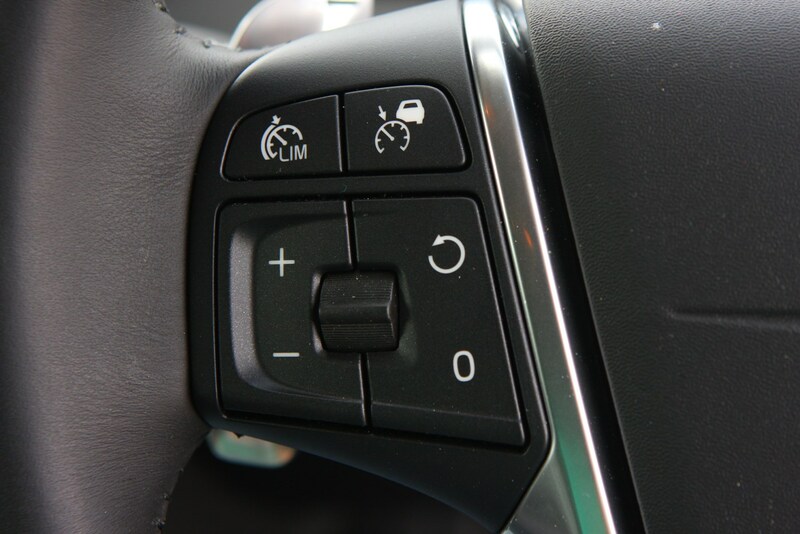 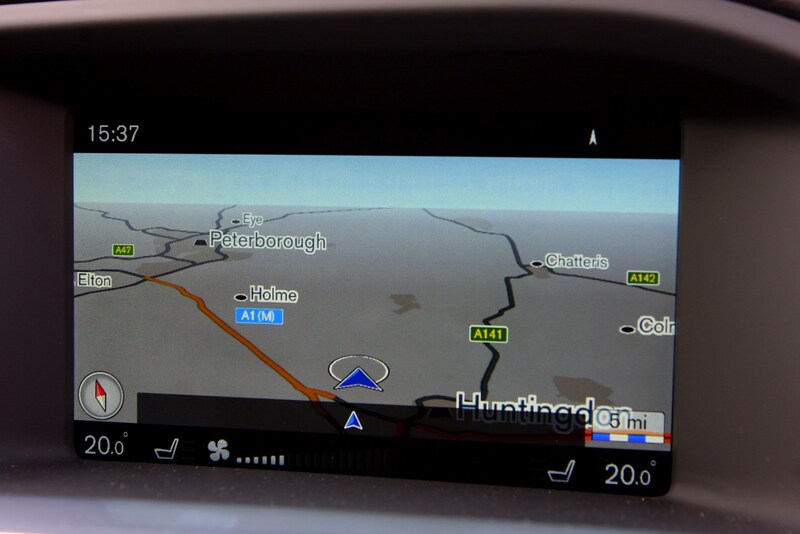 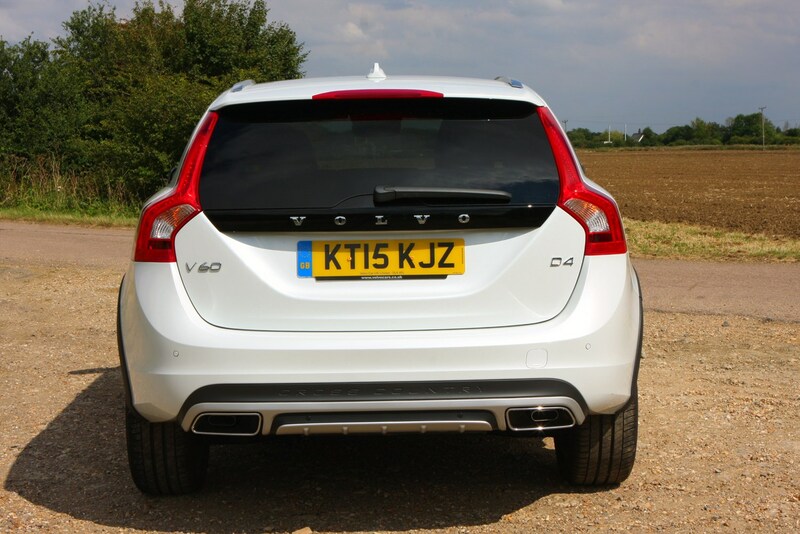 Stick with the manual and Volvo claims 67.3mpg and 111g/km compared to the Geartronic’s 61.4mpg and 120g/km figures. 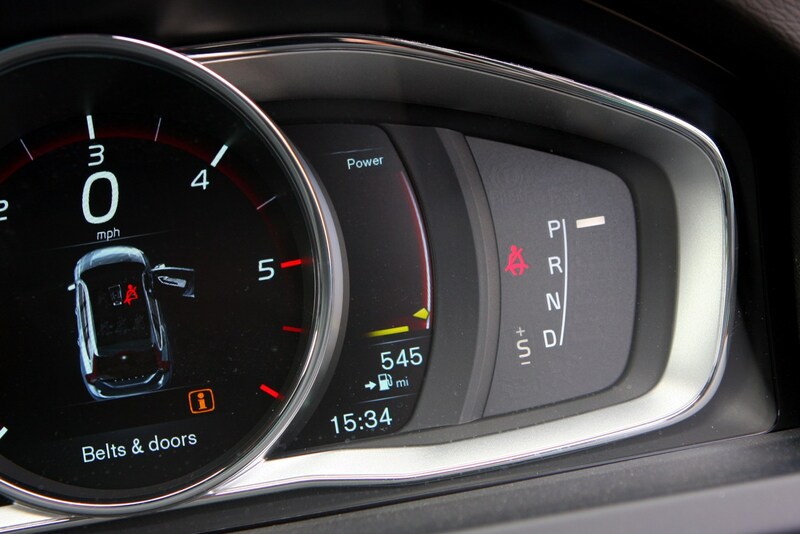 If you need to additional traction afforded by Volvo’s AWD (all-wheel drive) system then you’ll get a completely different engine and transmission combination, despite these V60s still wearing the D4 badge. 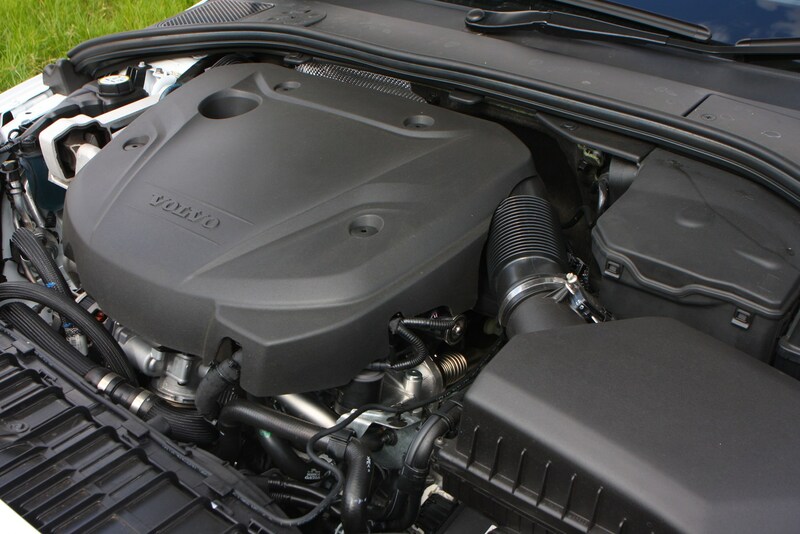 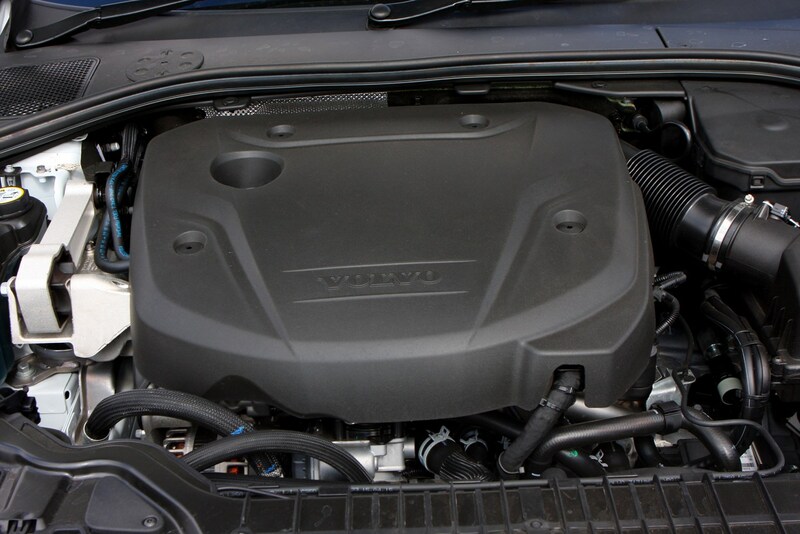 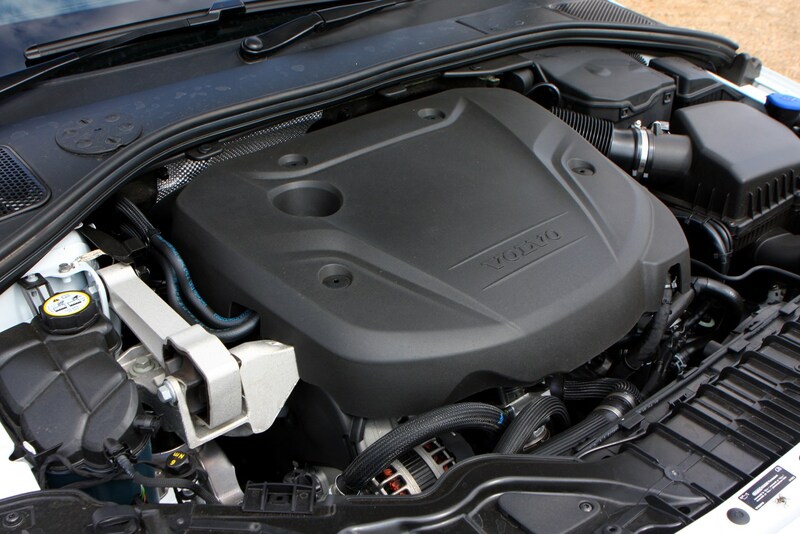 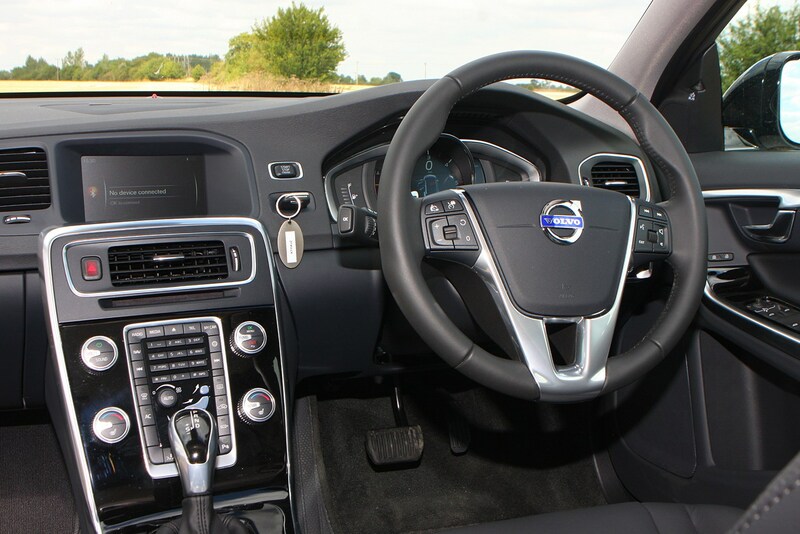 Instead Volvo’s older five-cylinder, 2.4-litre diesel – still producing 187bhp – is paired with a six-speed Geartronic automatic. 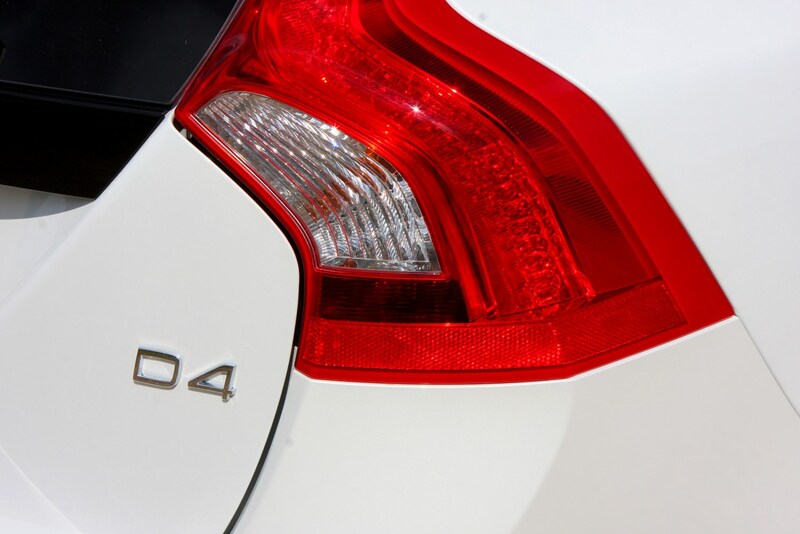 Fully compliant with the latest Euro 6 efficiency regulations, there’s nevertheless a knock-on effect of the larger motor and AWD, with a quoted 49.6mpg and 149g/km CO2. 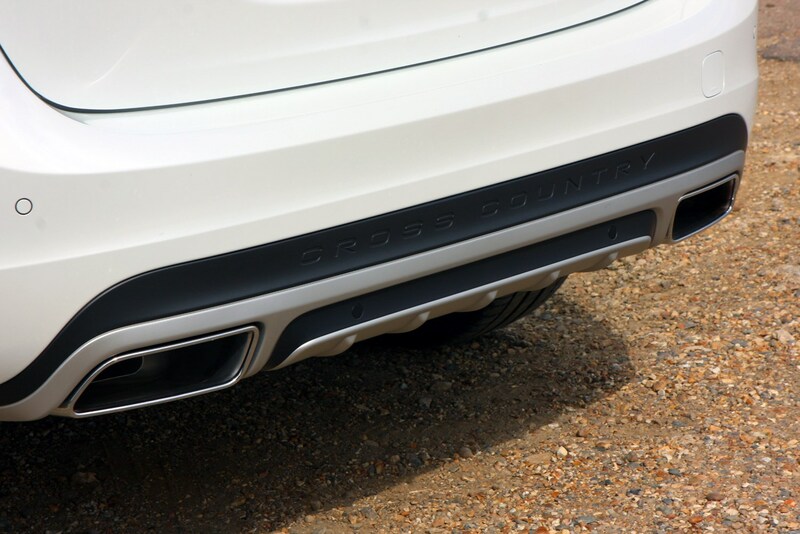 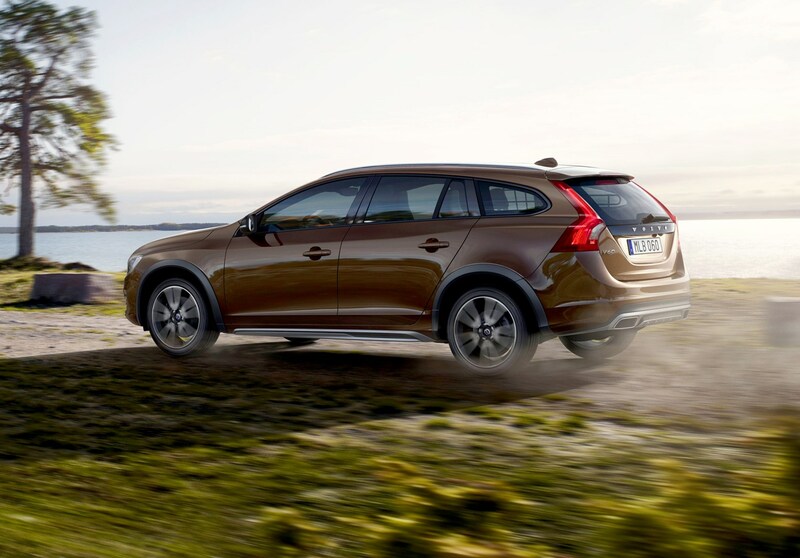 Browse the Volvo V60 Cross Country’s technical specifications and you’ll notice its 201mm of ground clearance (down to 191mm with two people inside) and an ability to wade through water up to 300mm deep. 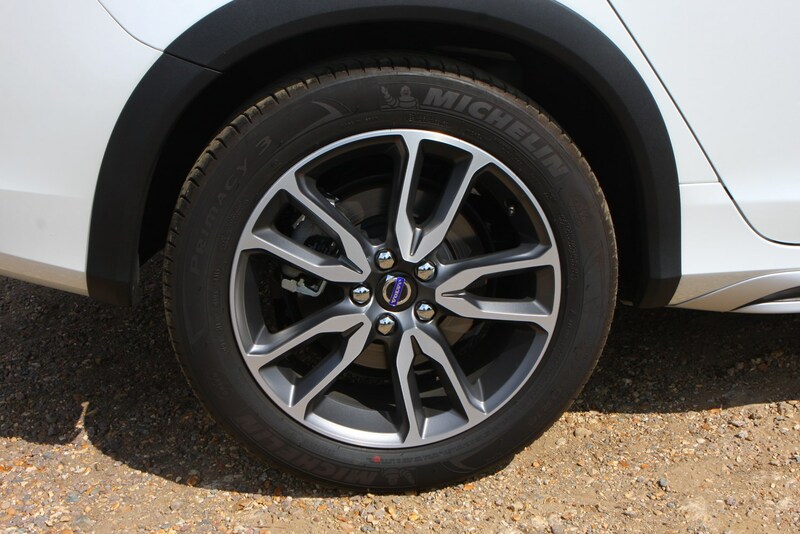 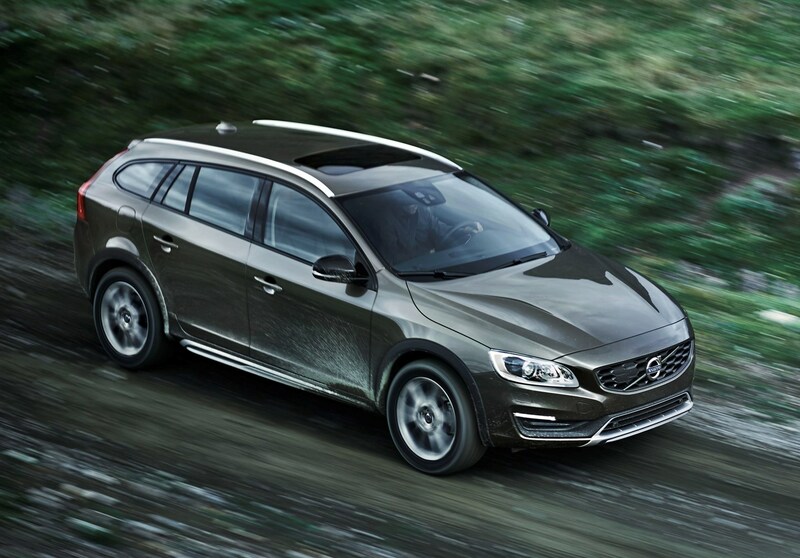 This doesn’t mean it’s a bona fide off-roader that will tackle all barring the toughest of terrains, though, particularly if you choose a front-wheel drive version. 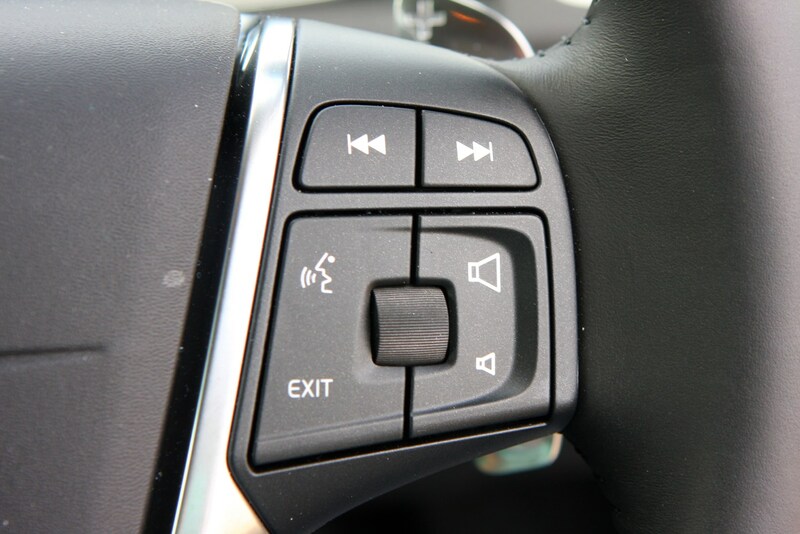 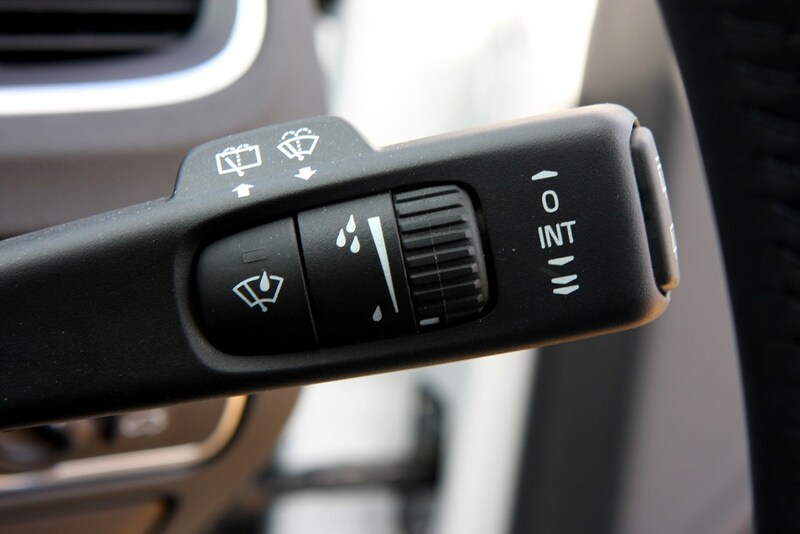 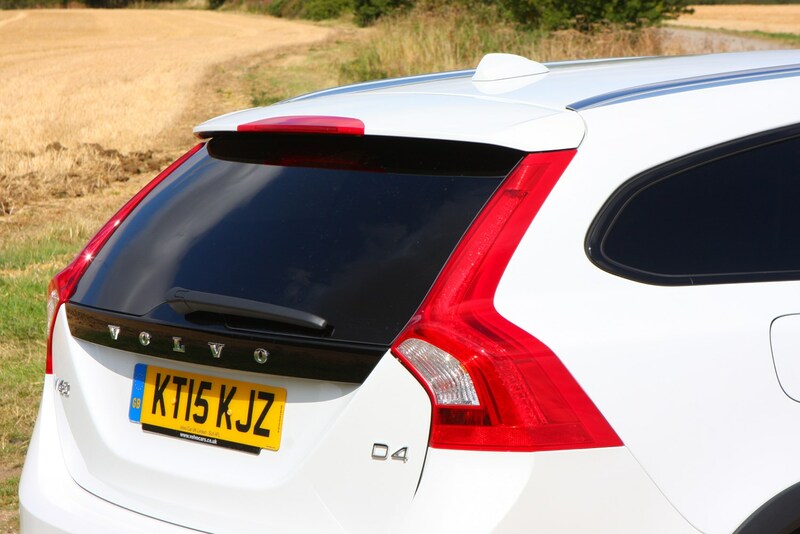 Think of it instead as a car that will make lighter work of rutted tracks, grassy fields or roads covered with snow and ice for a greater proportion of the year. 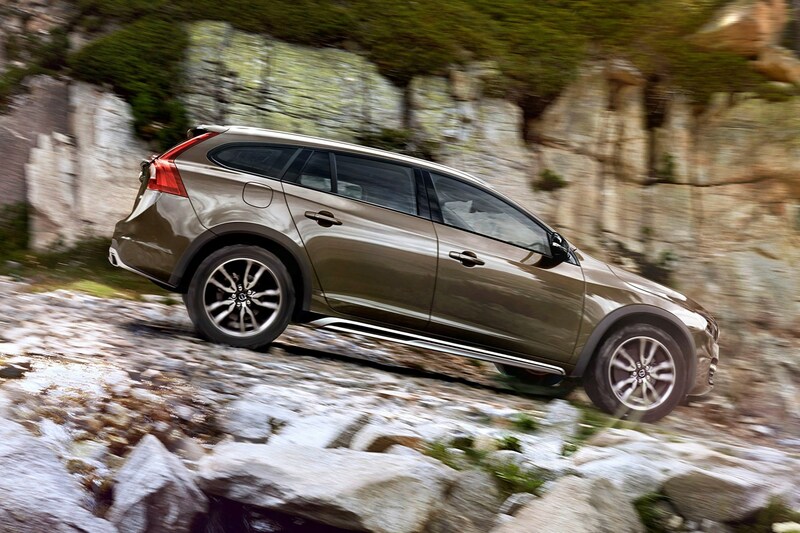 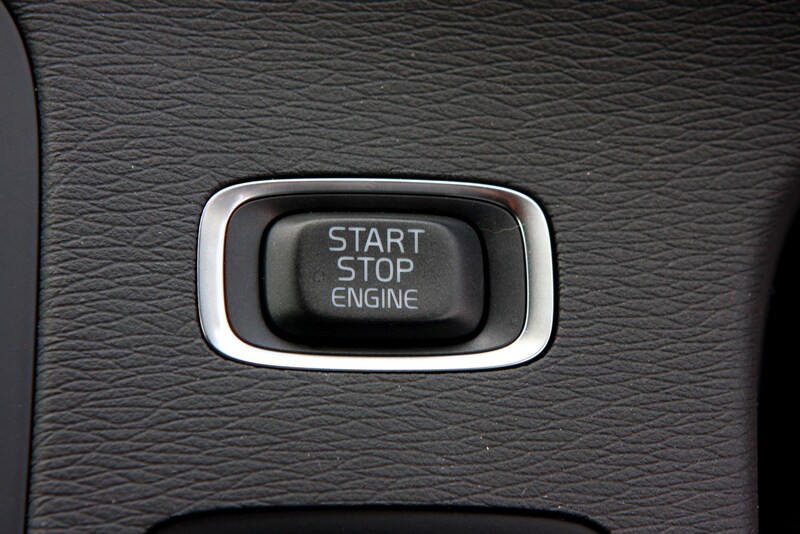 Even then you’ll need to choose AWD to make the most of it. 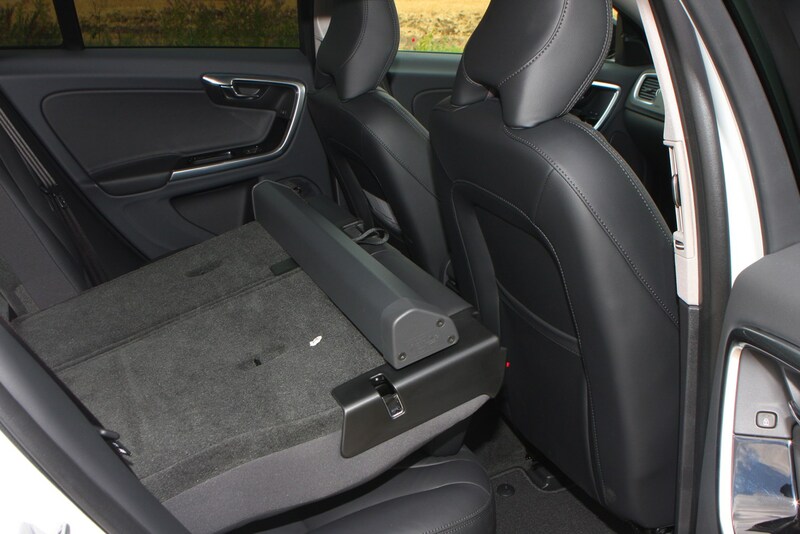 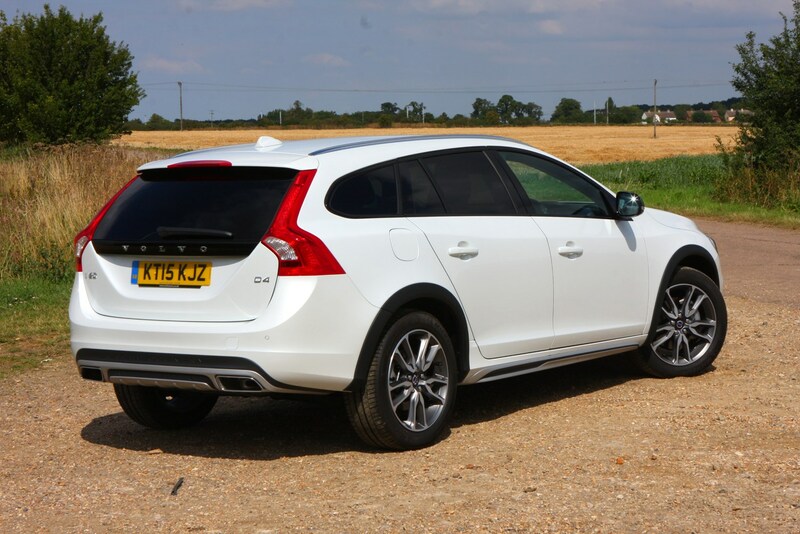 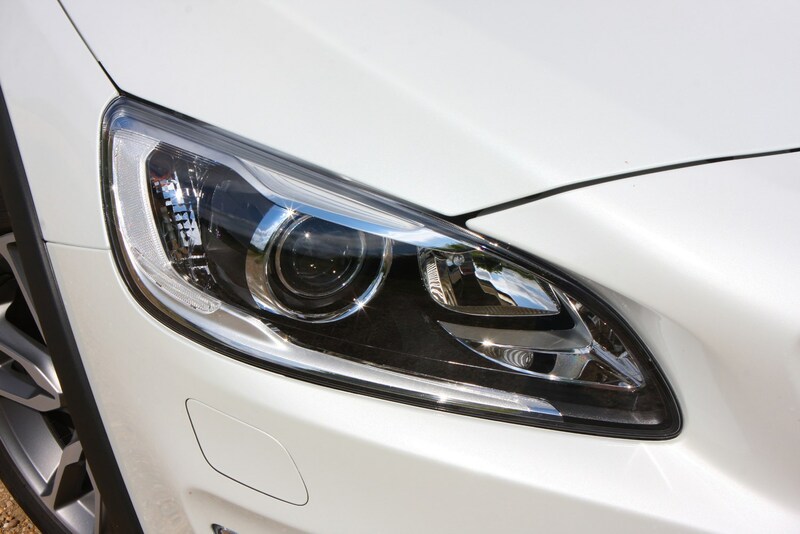 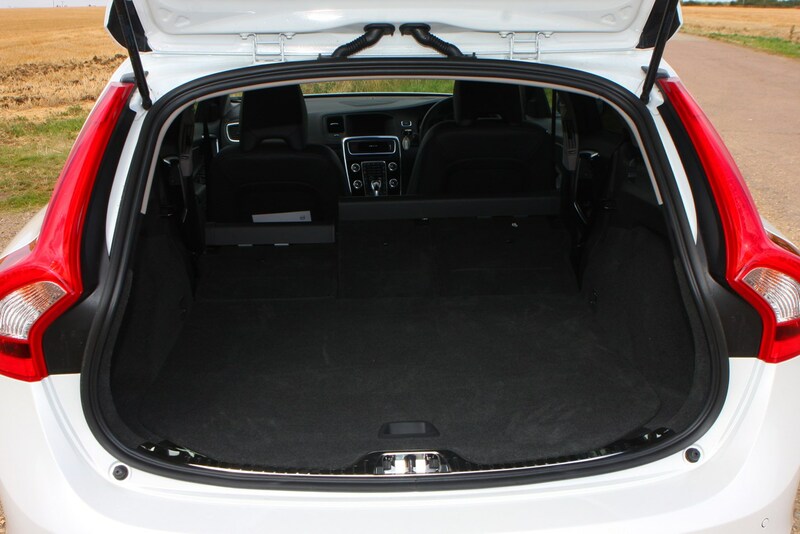 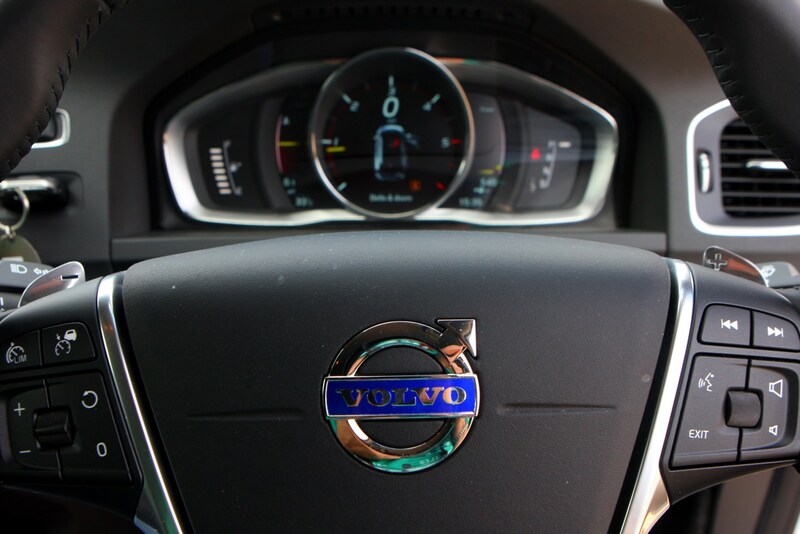 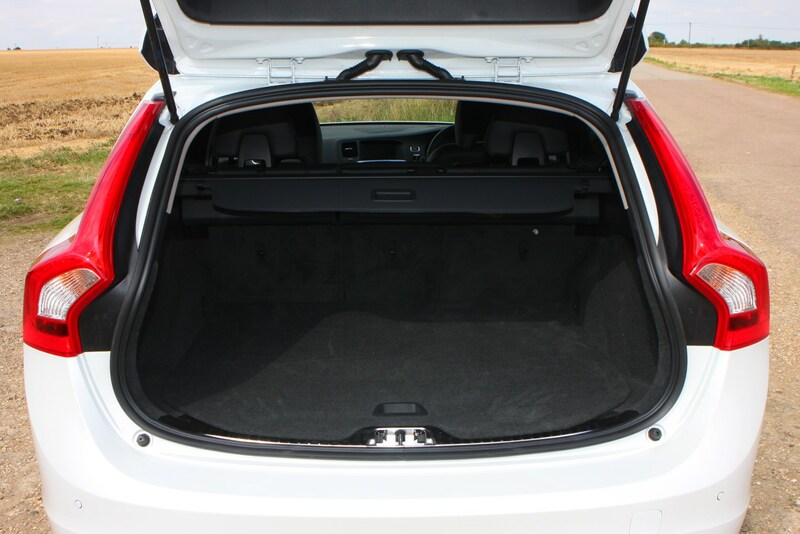 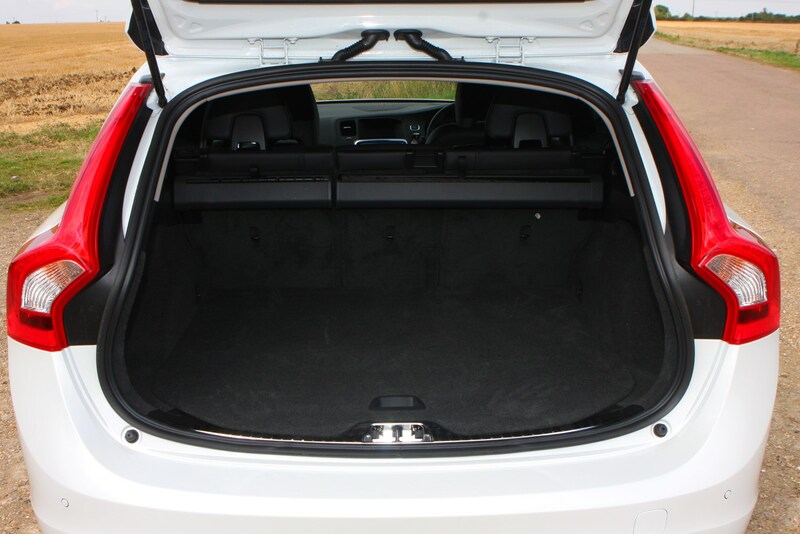 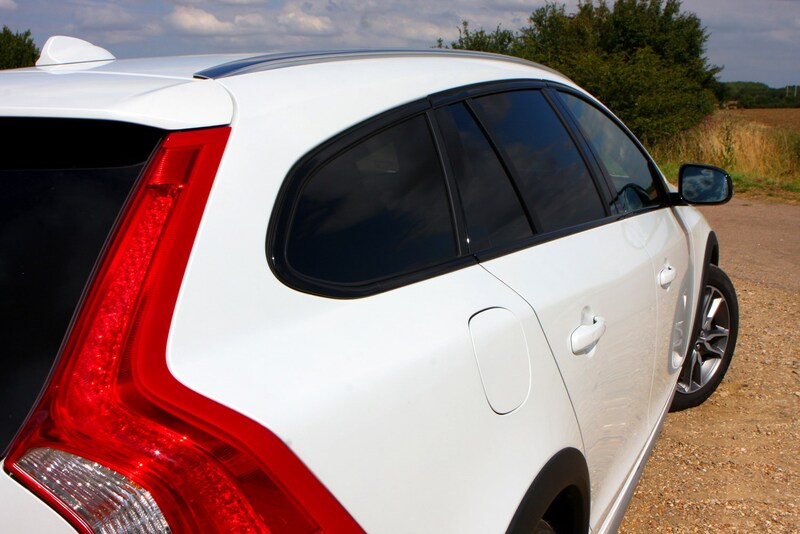 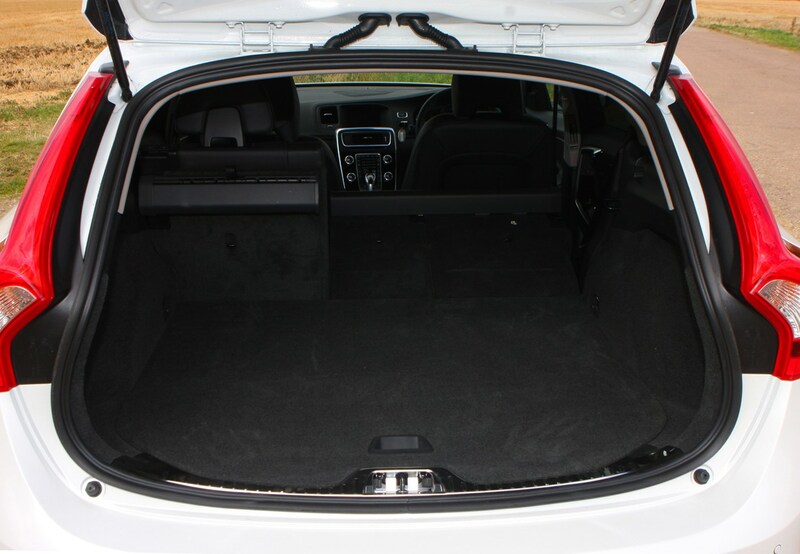 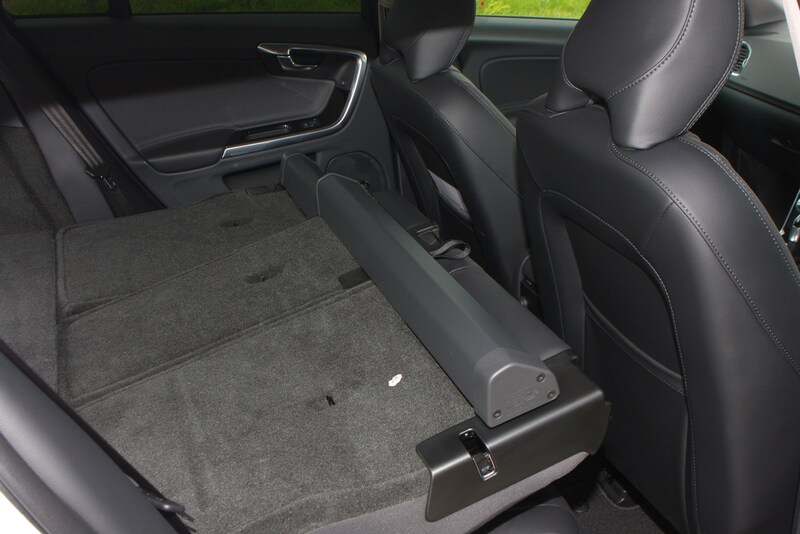 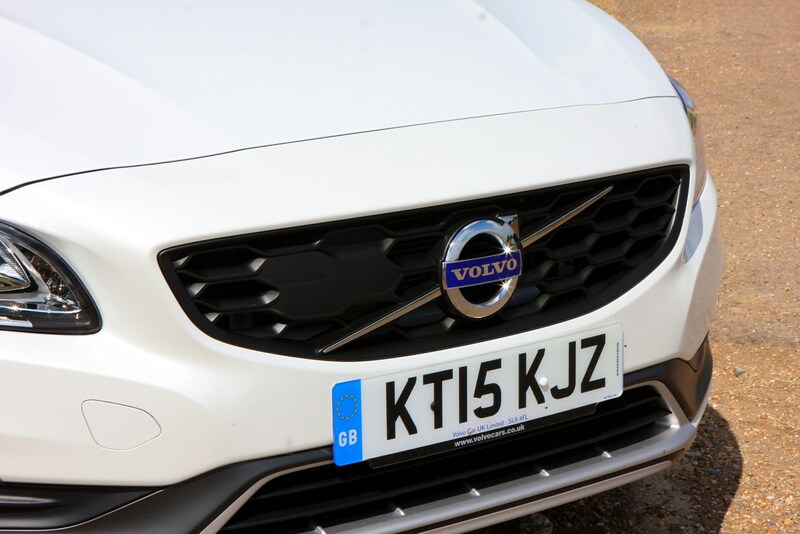 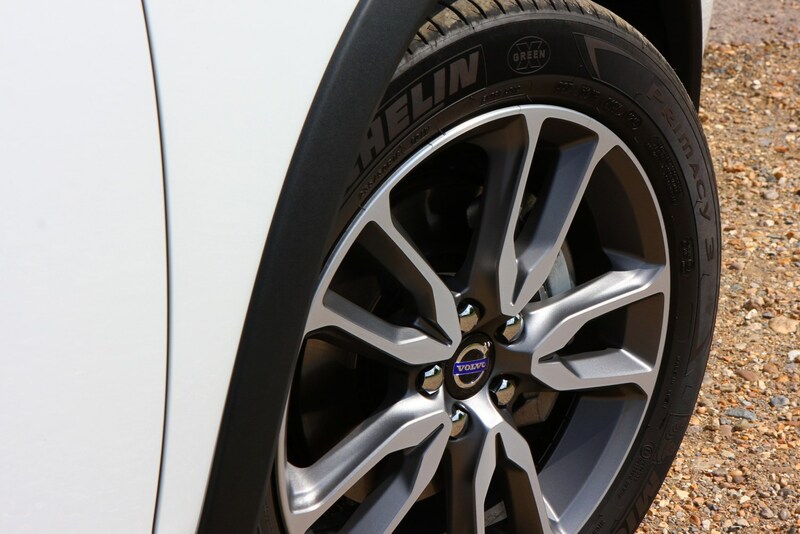 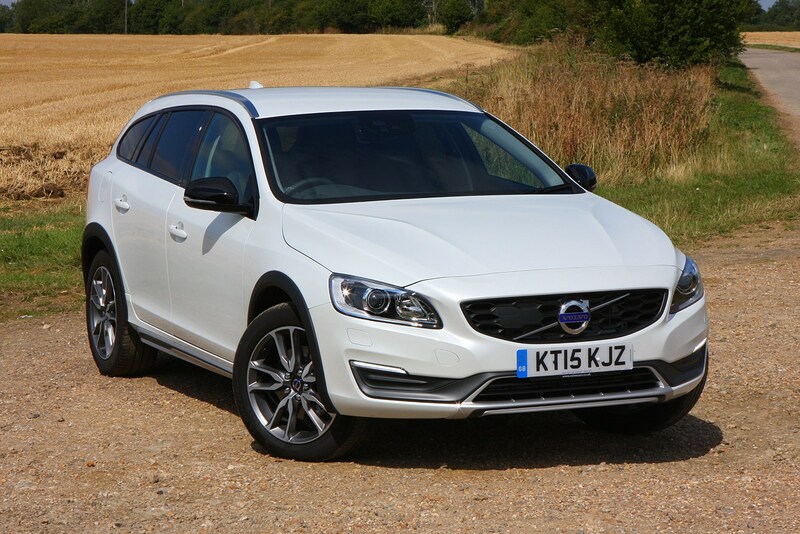 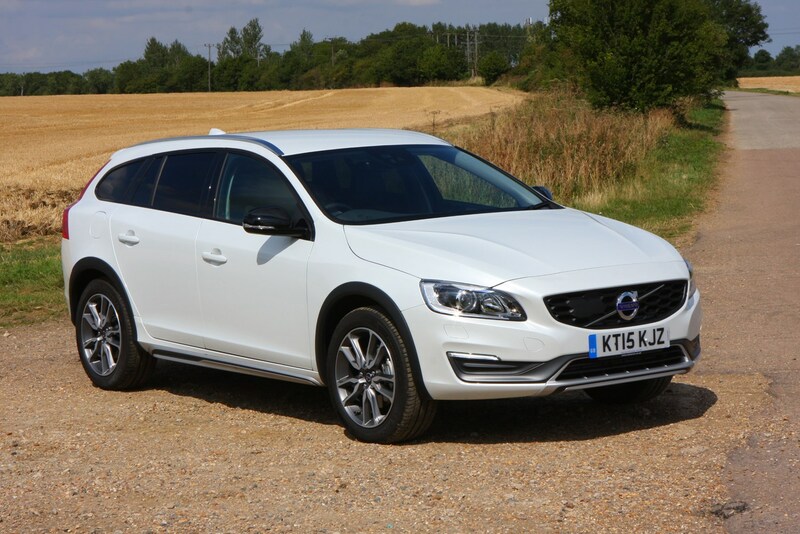 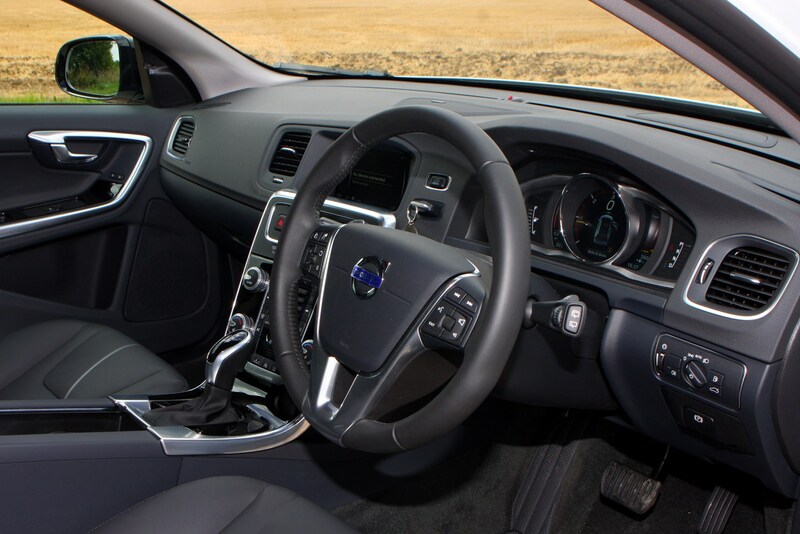 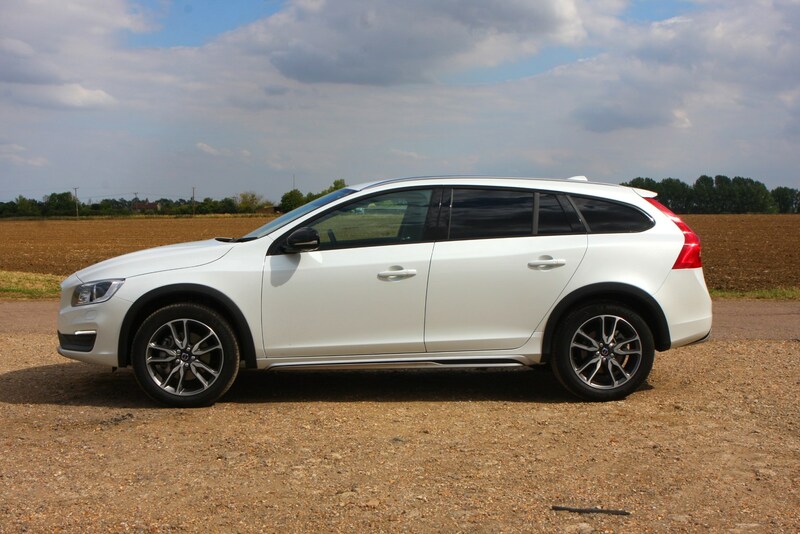 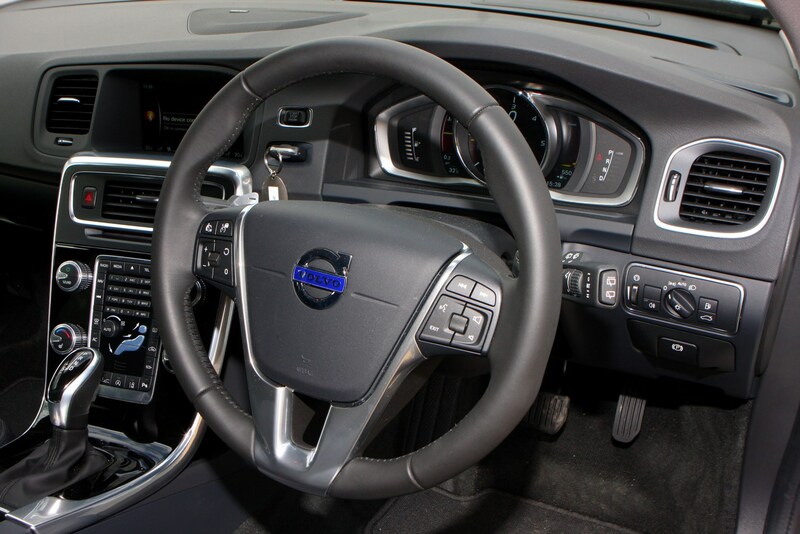 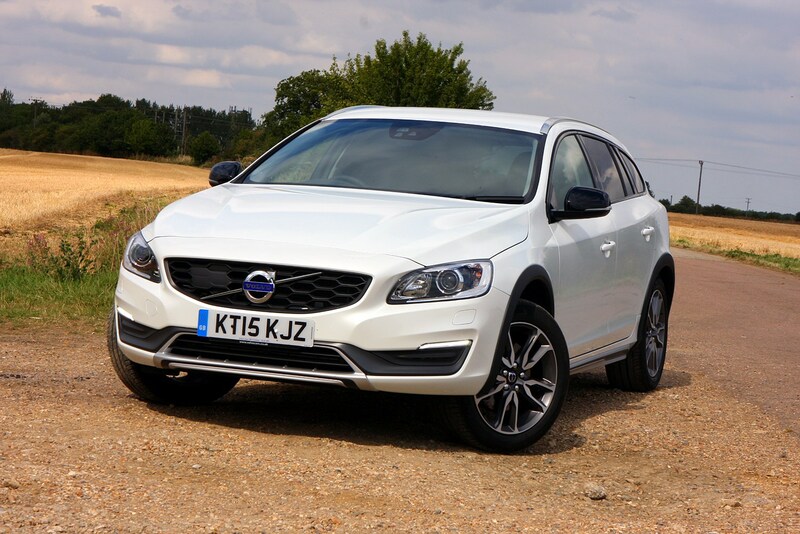 Find out more about what we rate about this pseudo-SUV by reading Parkers’ full Volvo V60 Cross Country review.